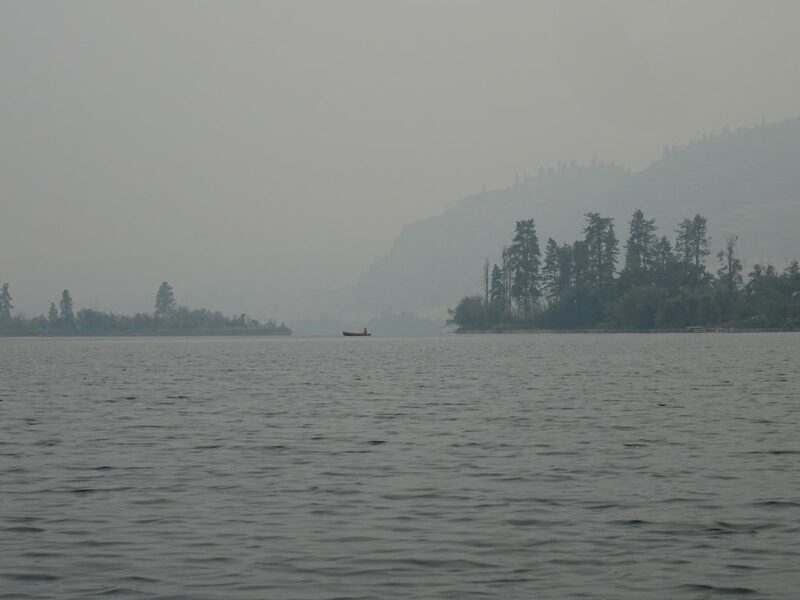 Well, the smoke from nearby forest fires has been teasing us for a while, but it’s finally happened, we’re experiencing a reasonably smoky day around Vaseux Lake as you can see in the picture below. Fortunately, the smoke now is nowhere near as thick as it was last September when my cousin and her friends were visiting from Holland – we couldn’t even see the other end of the lake. And even that smoke wasn’t as bad as in the summer of 2015 when there were terrible forest fires just south of Vaseux Lake in Oliver. We could barely see the island from the south side of the lake. 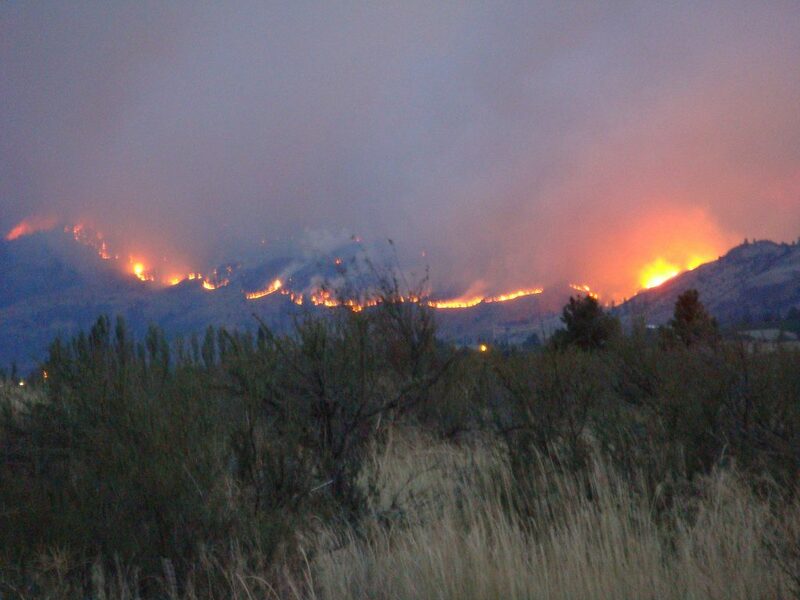 Fortunately, the forecast is calling for some cooler weather and even rain by the end of the week, so that should help the firefighters in their containment efforts.